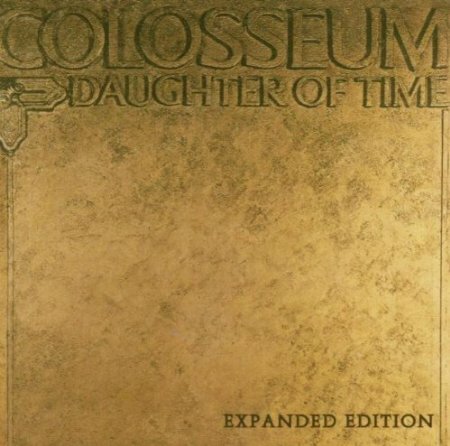 Daughter of Time is the fourth album by Colosseum, released in 1970. It hit number 23 in the UK Albums Chart. Recorded in the midst of an upheaval in the band’s lineup, only one of its eight tracks, “Three Score and Ten, Amen”, features all six of the official band members. There were a lot of excellent jazz-rock / rock-jazz / jazz fusion groups on the scene around this time – the Keef Hartley Band, Soft Machine, Weather Report, Mahavishnu, Return to Forever… – but Jon Hiseman’s Colosseum were one of the very best, and they aren’t sufficiently recognised as such. I admit to some sentimental nostalgia here, as ‘DoT’ was the first vinyl album I ever bought, in late 1970. I’ve just listened to it again on CD for the first time in many decades, and it’s as excellent as when I first heard it all those years back. Hiseman should be spoken of in the same bracket as Tony Williams and Billy Cobham, but for some unknown reason never seems to be. And this version of the band – Hiseman, Farlow, Greenslade, Clempson, Heckstall-Smith – was quite outstanding. There are some wonderful tracks on this album, but I still think the title track (‘DoT’) just about shaves it. Do give this album a chance if you’ve not heard Colosseum before – or of course you can savour the legendary, incomparable ‘Valentine Suite’.